What Qualifies as “Cyberstalking” in Florida for Purposes of a Domestic Violence Injunction? Cyberstalking has become a major concern in recent years. Thanks to ubiquitous social media technology, it is far too easy for someone with hostile intentions to track a person’s movements and use electronic means to harass or frighten them. 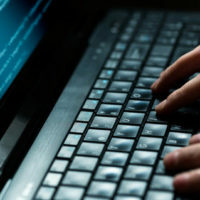 At the same time, it is critical to understand that not every use of technology automatically qualifies as cyberstalking or justifies a court’s decision to issue a domestic violence injunction against an accused cyberstalker. A recent decision by the Florida First District Court of Appeals, Hutsell v. Hutsell, offers a helpful illustration of what we are talking about. In this case, the appeals court reversed a trial judge’s earlier decision to grant a domestic violence injunction to the petitioner against her ex-husband. The petitioner accused her ex-husband of cyberstalking. More precisely, she alleged her ex-husband was tracking her using the OnStar® equipment installed in her car. If you are not familiar with OnStar®, it is an in-vehicle safety and security system installed by certain car manufacturers. OnStar® requires an email address to register an account. In this case, the ex-husband’s email was used for registration purposes. The petitioner told the trial court that because of this, her husband could “receive text and e-mail notifications by which he could monitor her truck’s location, fuel and oil levels, air pressure of the tires, and even lock and unlock its doors.” This “frightened” the petitioner, she said. The petitioner alleged this qualified as cyberstalking under Florida law. The Court of Appeals disagreed. It noted the law governing domestic violence injunctions required proof that the petitioner has an “objectively reasonable” fear of “imminent danger of becoming the victim of any act of domestic violence.” Here, there was no evidence the ex-husband ever “accessed, used, or misused the truck’s electronic records.” Therefore, the First District concluded, the petitioner did not establish an objectively reasonable fear of imminent harm. The petitioner also pointed to two direct encounters with her ex-husband in support of her request for a domestic violence order. Neither of these amounted to much in the appeals court’s opinion. The first encounter took place at a restaurant where the petitioner was eating. Her ex-husband happened to show up at the same restaurant. He did not speak or interact with the petitioner, but she nevertheless decided to leave the restaurant on her own accord. The second incident involved a text-message conversation between the petitioner and her ex-husband. She claimed that during that conversation he made comments that led her to believe “that he was tracking her whereabouts at work.” In fact, the First District observed, the petitioner had identified her location to her ex-husband earlier in that same conversation. One of the First District judges wrote separately in this case to comment the petitioner undercut her own case by acting, both before the trial court and on appeal, without the assistance of an attorney. Her ex-husband did not make that mistake. Of course, hiring a Miami criminal defense lawyer does not guarantee a favorable outcome when defending against a domestic violence charge. But it will put you in a much better position to assert your legal rights. So if you have been accused of domestic violence, contact the Law Office of Julia Kefalinos today to speak with an attorney.